A global tragedy is unfolding. Even as we are coming to understand them, the number of seabirds on our planet is in freefall, dropping by nearly 70% in the last sixty years, a billion fewer now than there were in 1950. Of the ten birds in this book, seven are in decline, at least in part of their range. Extinction stalks the ocean and there is a danger that the grand cry of the seabird colony, rolling around the bays and headlands of high latitudes, will this century become little but a memory. 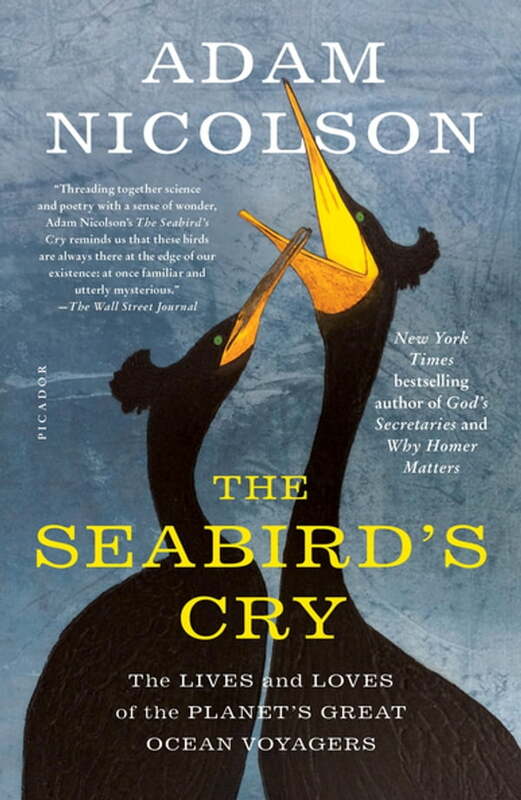 Seabirds have always entranced the human imagination and NYT best-selling author Adam Nicolson has been in love with them all his life: for their mastery of wind and ocean, their aerial beauty and the unmatched wildness of the coasts and islands where every summer they return to breed. The seabird’s cry comes from an elemental layer in the story of the world. Over the last couple of decades, modern science has begun to understand their epic voyages, their astonishing abilities to navigate for tens of thousands of miles on featureless seas, their ability to smell their way towards fish and home. Only the poets in the past would have thought of seabirds as creatures riding the ripples and currents of the entire planet, but that is what the scientists are seeing now today.